How can I prevent cutworms from destroying my seedlings? Question: How can I prevent cutworms from destroying my seedlings? 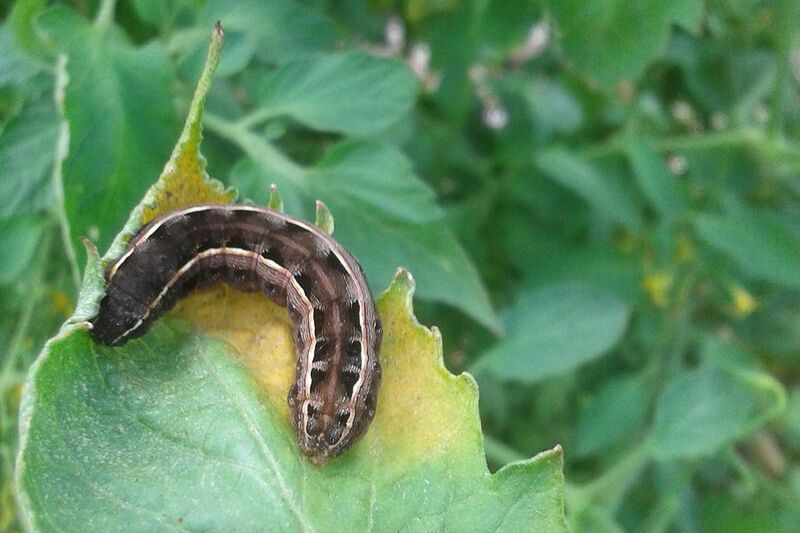 Cutworms cause what can possibly be considered the cruelest damage to your plants. After you've coddled seeds and watched them grow into sturdy little seedlings, you walk out to the garden one morning to find them laying on the soil, as if chopped down by tiny axes. This is telltale cutworm damage. Here's how to protect your plants from these pests. Answer: The best way to protect your plants from cutworms is to create a barrier around them. Cutworms are the most dangerous during the first few weeks of a plant's outdoor life, when the newly-emerged stems are still very tender. If you have planted Brassicas (cauliflower, broccoli, kale, etc.) they are most susceptible to cutworms. By making a point of putting barriers around your seedlings as soon as you plant them, you can ensure that your plants will be protected. Which type of barrier should you use? One of the simplest is a toilet paper or paper towel roll, cut into two to three inch pieces. Slip the cardboard ring over your plants, and make sure that at least half an inch or so is beneath the soil's surface. Eventually, these will start to fall apart, but by that point, your plant will be too large for the cutworms to do any damage. Another good option is to use a three inch wide strip of tagboard or lightweight cardboard, and form it into a ring. Slip it around your seedling, again, burying part of it in the soil. Could Toilet Paper Rolls Help Your Organic Garden?